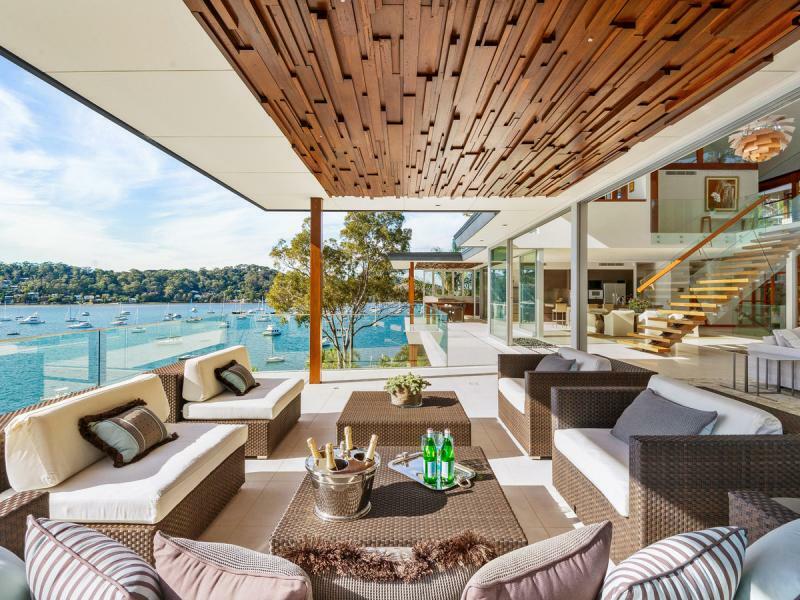 Amid all the pressures of life, sometimes it can be nice to just switch off and enter a world of fantasy where we all have a cool five million to splurge on a spare property set on Sydney Harbour. For that reason, these top 5 luxurious homes, while not a balanced representation of Sydney real estate, happen to not only be designed with opulence in mind, but also have views to make a grown man cry. Architect Brian Meyerson has designed this completely unique property to sit comfortably within the lush surrounds of one of Sydney’s most sought-after suburbs, Vaucluse. Situated on a sight that is defined by its sandstone rock shelfs, the family home was designed to remain modest in its connection with the landscape, using concrete, Ironbark, Burnt Ash and Basaltina stone as the basis for the property’s design. More a piece of sculptural design than a home, you would be afraid to put a glass down on any of this property’s surfaces. 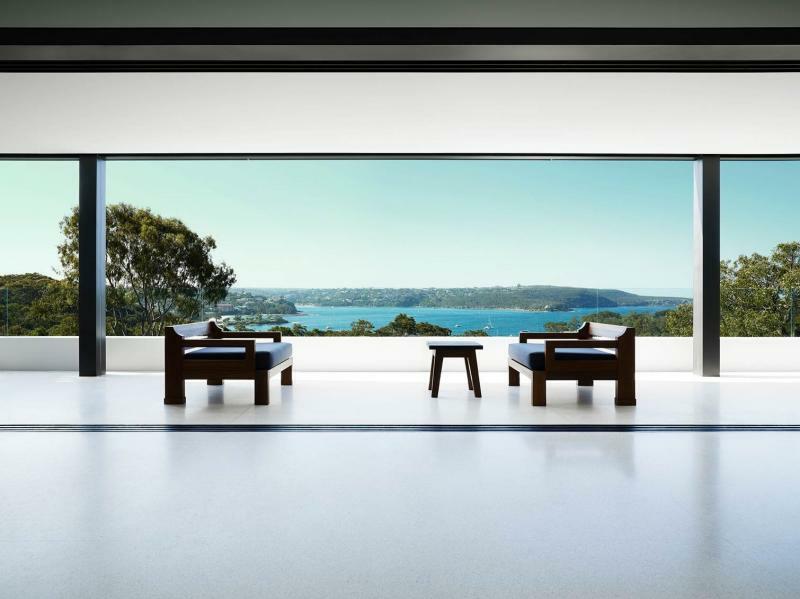 Looking over Balmoral Beach, Raine & Horne are selling what has to be one of the most beautiful homes for sale in Australia, with a linear design that epitomizes the best that Modern architecture has to offer, interior design and artwork that seem inextricably linked to the building and views that seep into the interior of this home like an immersive virtual reality. Perhaps you are happier a little further out from Sydney and prefer the prestigious northern beaches? Who wouldn’t. 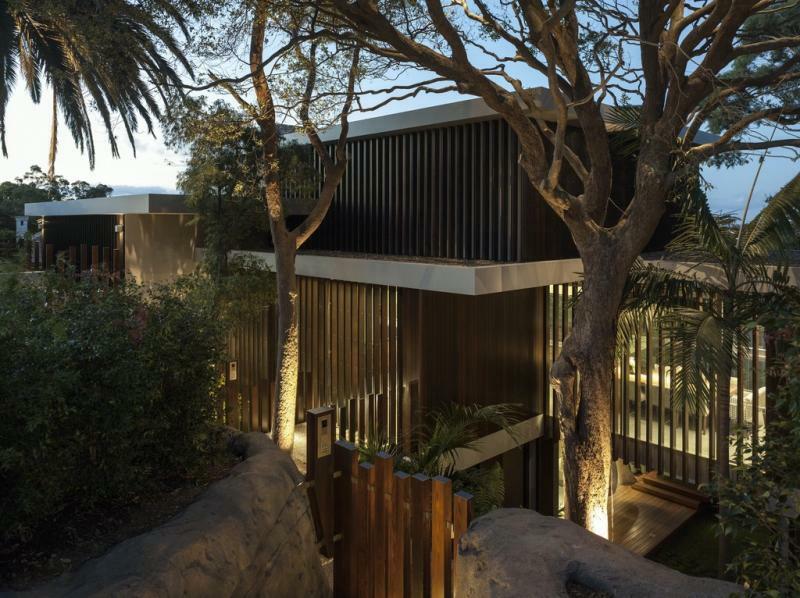 The tried, tested and successful design ethos of using sandstone, timber and glass to merge the property with its surrounds works a treat in this property and, appreciating Sydney’s year-round temperate weather, opens itself up in its design to let the sea breeze flow throughout. One of the most architecturally impressive properties in the list, this contemporary building oozes luxury not only in its design, its fenestration and its views, but in the saltwater pool, entertaining area, internal courtyard, lift access, Wolf/Gaggenau appliances and 1000 bottle wine cellar. Timber is used to perfection in its design and the master bedroom has a view that boggles the mind. It was hard to narrow this list down, there were dozens of incredible properties for sale in Sydney. 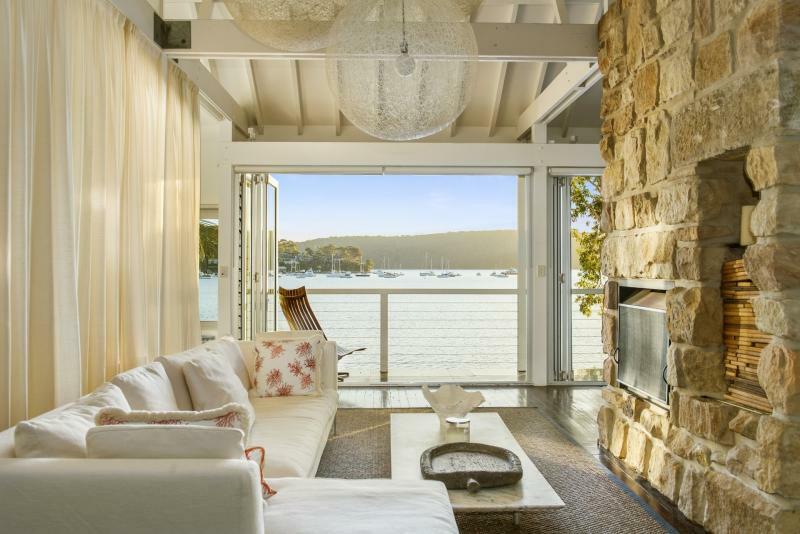 However, this Palm Beach home had to make the list for its ability to marry luxury with a traditional beach house feel that is quintessentially Australian in the emotions it evokes. Luxury doesn’t have to mean media rooms, infinity pools or underground cellars, but an appreciation for what lies outside and to create a home that feels cosy at the same time as bringing the bay to the door. But yes, there is a pool.